Danielle Ancin has taught yoga in communities affected by violence in the U.S., Colombia, and Brazil. 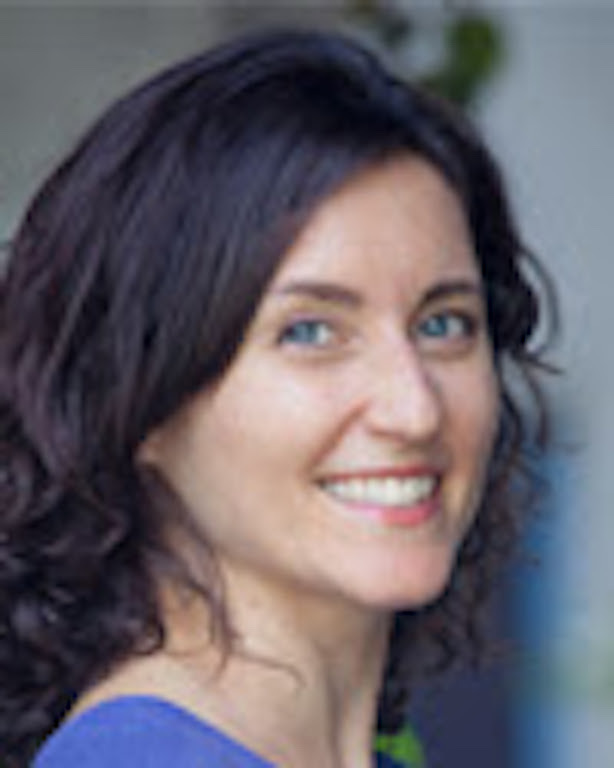 Danielle is now a lead trainer and curriculum developer with the Niroga Institute, where she teaches Dynamic Mindfulness and leadership development to children and adolescents. The Niroga Institute is a non-profit organization which strives to foster health and well being for individuals, families, and communities through the practice of Mindful Yoga. What is trauma-informed yoga instruction, and why is it important when working with "at-risk" youth? Trauma-informed yoga instruction starts with knowing the basics about trauma and how it can affect the body, brain, behavior, learning, and development. We often say in our trainings that we learn about trauma not so that we can diagnose or label our students, but rather so that we can grow our toolbox of responses to behaviors. We can pause and consider when trauma might be at the root of student challenges and respond with inquiry and compassion. Trauma-informed instruction also includes considering the doubts, preconceptions, and fears that might be barriers to student engagement, and addressing them as best you can when you first introduce yourself and the practice. This requires self awareness and cultural humility, and includes awareness of racial, gender, religious and historical dynamics that could be present with yourself and your students. Then comes the actual yoga instruction! In trauma-informed yoga, participants are invited (not told) to take part in the practice at their own pace, and their choices are honored. This is often revolutionary in school settings where invitation is not the norm. The language of instruction focuses on guiding folks to be aware of their present moment experience, using their breathing to calm the nervous system. Elements to bring awareness to include the rhythm of the breath, spatial orientation, and body sensations (being sensitive to the fact that people managing trauma may not feel many sensations). I would say it is important to employ trauma awareness when working with any young folks. (And although many funding agencies use the term “at risk”, I have learned that the label itself can be hurtful and may get in the way of us seeing each individual’s strengths, needs, challenges, and goals.) Being trauma-informed means you are making the practice inviting and inclusive for all. We know from the Adverse Childhood Experiences (ACE) study that trauma is widespread in the U.S. and is likely present in any classroom or school where you teach. It’s important to keep in mind that while some students cope with trauma in ways that look like acting out, others internalize traumatic symptoms. It’s not simple or clear-cut! Mindfulness, inquiry and compassion are key. In a Huffington post interview, you mentioned that you felt nearly as much of a culture gap with your students in California as you did in South America. How did you learn to work effectively with youth whose backgrounds are quite different from yours? I really resonate with Paulo Freire’s popular education model. I try to go into any teaching or training situation with the idea that I’m there to learn as much as I am to teach. Asking questions, admitting mistakes, taking risks, and saying “I don’t know” are all important parts of the process. I’ve learned and still learn a lot from my students, the other adults at the sites where I teach, and my coworkers. I was encouraged by my mentors and colleagues to be clear about my motivations and expectations regarding the class and students. I was reminded to go in with the intention to get to know them, meet them where they are at, honor their strengths, and learn about their goals. I try to orient class toward topics that are applicable to their lives. The great thing about mindfulness is that it can be applied to pretty much everything! So I try to find activities and topics that interest my students and bring mindfulness to them. Some Muslims are concerned about yoga, mindfulness, and meditation practices because of their connection to Hindu and Buddhist teachings. Has there been any resistance to Niroga’s teacher training in Palestine, and if so, how has it been addressed? I have come across resistance to practicing yoga due to religious beliefs, but that happened to be here in the U.S. among Christian students and their parents. In Palestine, the educators, counselors, and social workers we trained were quick to grasp the essence of the practice and did not express any resistance based on religious beliefs. However, they did tell us that they might encounter such resistance when sharing the practice with their own students and clients. During the trainings, they worked together to come up with ways to overcome these barriers and introduce the practice in a way that would feel most inviting and supportive to folks in their communities who might feel uneasiness because of their religious beliefs (Muslim or Christian). While we did not encounter resistance based on religious beliefs in our trainings in the West Bank, we did encounter quite a bit of critical thinking, questions, and skepticism. Having worked in environments where ideas had “value added” just because they came from the U.S. or Europe, I was heartened to hear the questions and requests for evidence from our Palestinian workshop participants. They struck me as caring gatekeepers scrutinizing the information coming from the outside, and choosing carefully what to let in and share with their children, clients, and friends. In a previous interview, Ronit Jinich described dance as a wonderful way to tap into “beginner’s mind.” How does your own background as a dancer inform your teaching of yoga, mindfulness, and meditation? I found yoga during a 3-year hiatus from dance due to an injury. When I finally was able to dance again, I noticed I was able to dance much better than I ever could before I was injured. Mindfulness was the key. If you are mindful, you are harnessing the power of your whole mind-body system. Mindfulness will make you better at anything you undertake. I use this knowledge as a way to motivate my students – it’s not about doing yoga, it’s about harnessing your own immense power. Building awareness of your own motivations for teaching, as well as your fears and strengths. Understanding the larger context in which you are interacting with your students and how it might influence your relationship with them. Being humble and asking questions, and admitting when you have made a mistake. Observing and checking in with students about their energy levels and needs. Being willing to throw your plan out the window in order to address what is present for the students. Making a lot of little choices in a short amount of time. And of course, being aware of your reactions and emotional state as you teach and grounding yourself so that you can be fully present to your students. Dance is a big mindfulness tool for me. But daily, I make sure I meditate every morning, sometimes incorporating some movement. That mindfulness break has been super helpful in building my awareness of what I’m going through emotionally and mentally, so that it doesn’t sneak into my classes with my students. Because life is happening, and sometimes it’s hard. But if I can be aware of my inner state, I not only can keep unexamined emotions and thoughts from interfering in my relationships with my students, but I can also use that information as a way to connect with them and learn together.